A Set of Alphabet Cartoon characters. 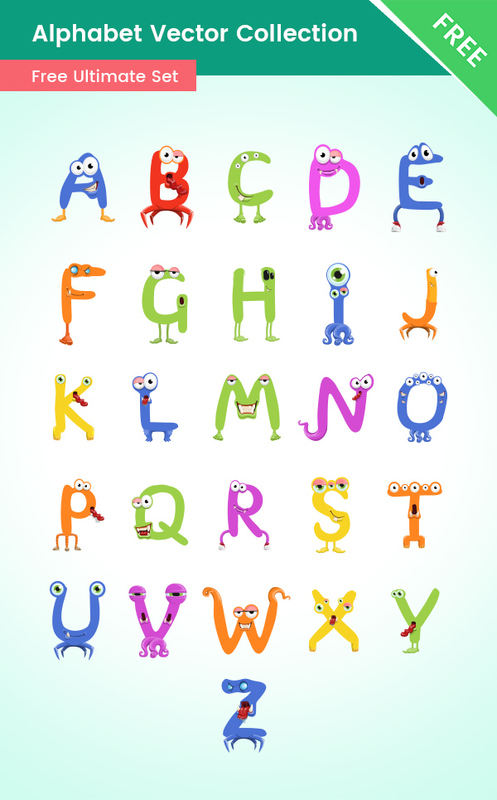 This set includes all English alphabet letters, presented as monster characters in a cute flat style. These characters are perfect for school-related designs. With these alphabet characters, you will definitely grab the attention of the young audience. These letters are made especially to grab the attention of the kids. They are cute, funny and modern. All of these ABCs are made in a vector format, so you can easily modify their shapes and colors. Available for free download.